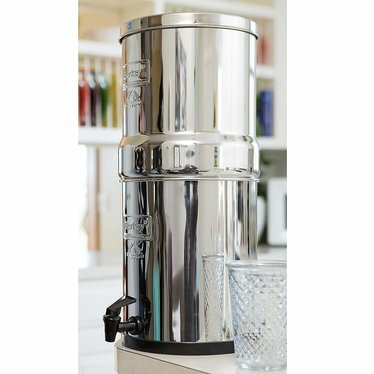 The Big Berkey is a tabletop water filtration system made with stainless steel. Pour "raw" water in top chamber and draw off sparkling-clean water from lower chamber. Removes viruses, bacteria and many types of chemicals. 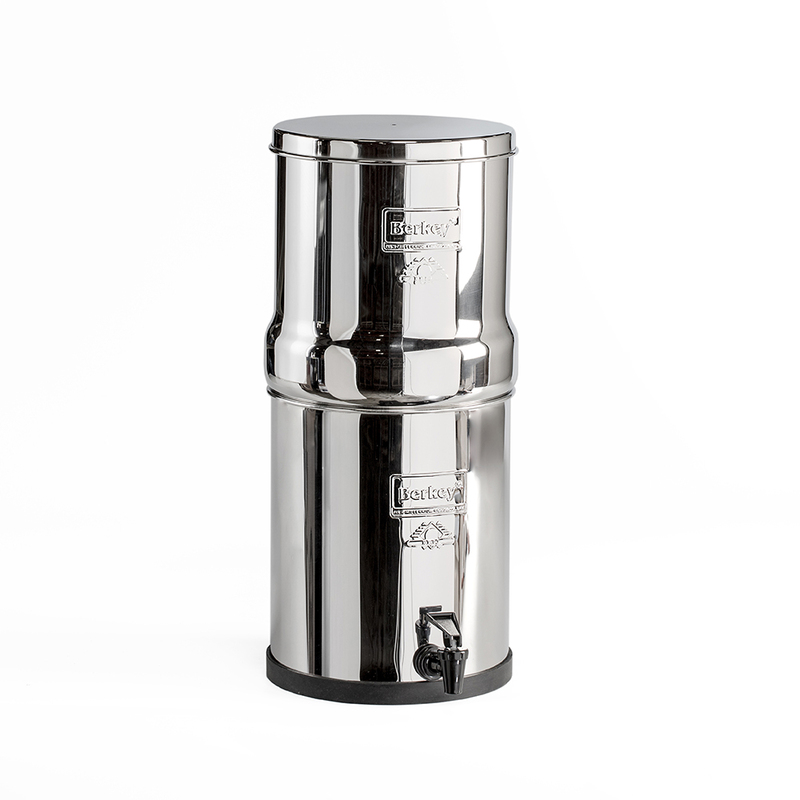 Polished 304 stainless steel resists rust and won't break or impart flavor to water. Ceramic elements may also be used if desired. 19"H x 8"OD, 6 lb. Not for use with saltwater. Note: These products can not be shipped to Iowa or California because of certification regulations. Tested by State and EPA accredited laboratories to exceed EPA and ANSI/NSF (Std. 53) protocol. View our Filter Cross Reference Chart to compare filters. Lehman's says: Thanks for letting us know. We appreciate your feedback and are looking into this. I have been using my stainless steel Big Berkey with 4 black ceramic filters for at least 3 years now. I got it anticipating problems with fracking in my area but also recently had elevated lead levels show up in my water. I like the peace of mind it gives me, since it filters out lead, bacteria and organic chemicals. The only trouble I have is that I have to remember to check how much water is in the bottom chamber before adding water to the top, or it can overflow (the directions warn of this!). But I still prefer having my water from stainless steel rather than plastic. It's a simple device and easy to use. It has held up very well I tell all my friends about it. Great product! Would never get any other kind. The black filters are also reusable.